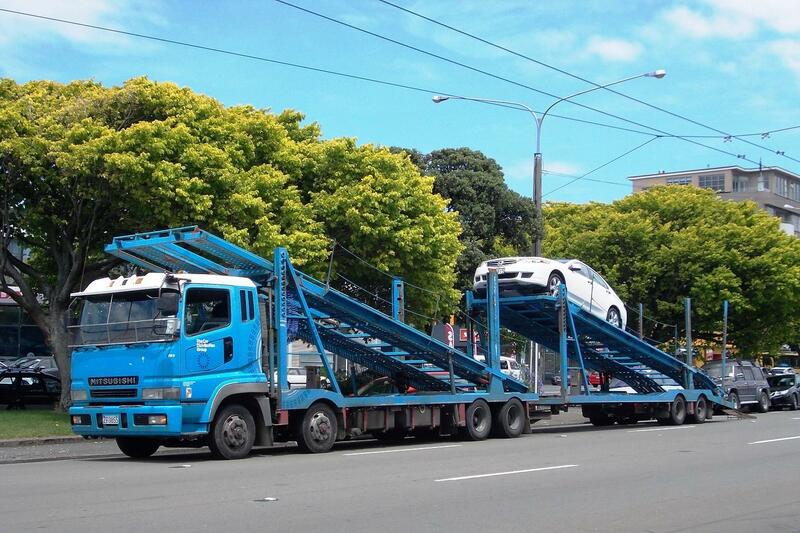 Eight wheeler Mitsubishi on very small wheels, unloads in central Wellington. Fifth wheel for semi-trailer is mounted low behind trucks rear wheels. 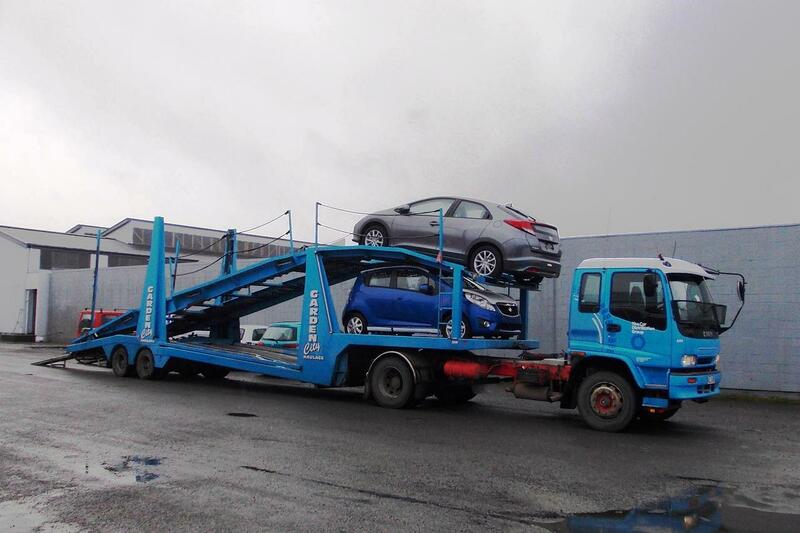 Light weight Isuzu with conventional style semi-trailer unloads at my place of work. Another Car Distribution Group vehicle. Tranzit Coachlines has their depot opposite where I work. 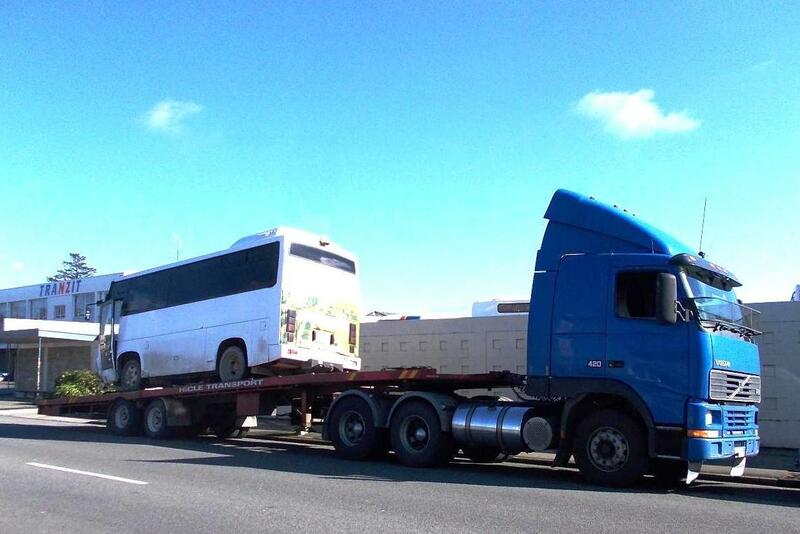 Recently this Volvo and semi turned up to take away this small coach which was in damaged condition. They had some difficulty loading as the front of the coach kept jamming on the ramps. Loading it backwards with some carefully placed blocks of wood finally achieved their aim. 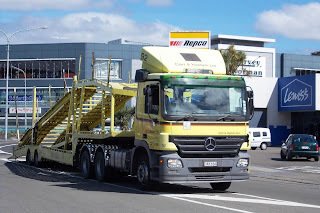 Before it was secured I noticed the driver carefully and wisely checking the overall height with his tape measure. just as it finished unloading in central Lower Hutt.